I love everything about Kerala especially food. 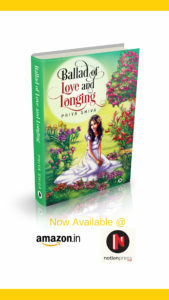 I have been lucky to have some origins from Kerala as my mom was from Palakkad. So, I got to learn few popular dishes from her. 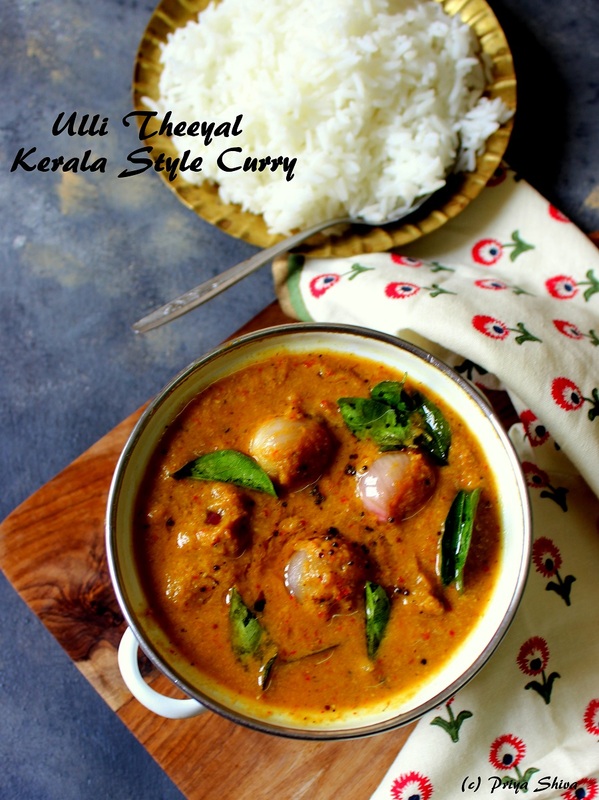 One of my favorite is Ulli Theeyal which is a delicious Kerala style curry. 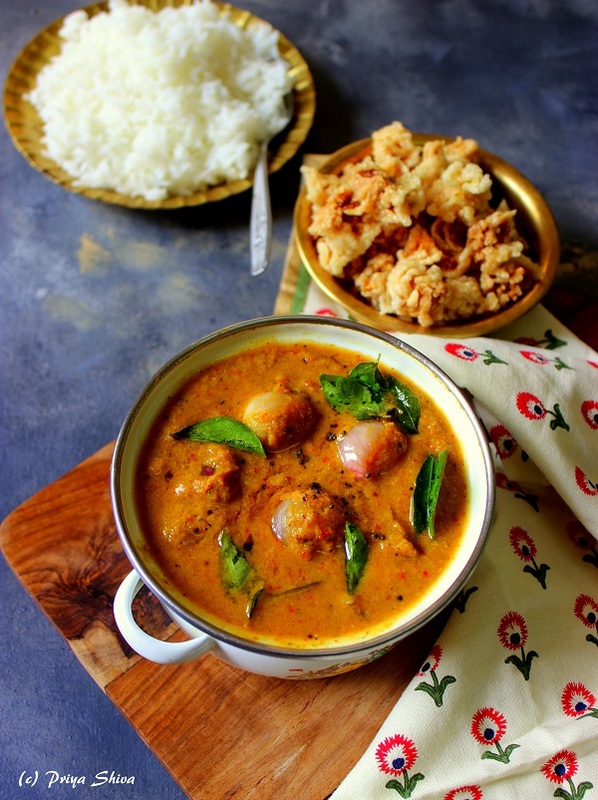 It is made with Onion Shallots which is cooked in tangy coconut gravy. 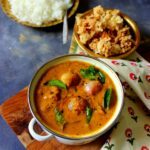 Ulli means onion and that’s how this curry got its name. I love kadala Curry with puttu for breakfast and I can enjoy Ulli Theeyal with steamed rice for lunch. 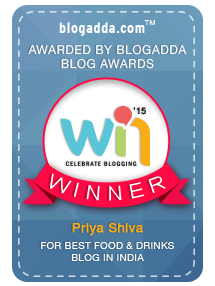 Well, that’s my Kerala genes talking to you :)..So, lets learn how to make Ulli Theeyal today. I have shared a quick cooking video too. Hope you all try it out and share the feedback with me. Soak tamarind in 1 cup warm water for 20 minutes. Strain to remove seeds and pulp. Heat 1 tbsp of coconut oil in a pan. Add pepper corns, white lentil, coriander seeds, dried red chillies and fresh grated coconut. Keep stirring until the coconut turns golden. Grind the masala to make a coarse powder. Heat 2 tbsp coconut oil in a pan and add mustards seeds. Let them crackle. Now add in the curry leaves, asafoetida and onion shallots. Fry till the shallots are soft and lightly brown. Add in the tamarind water, grounded masala, turmeric and the salt. Let it simmer in low flame for few minutes. Add more water to adjust consistency. Serve it warm with rice.